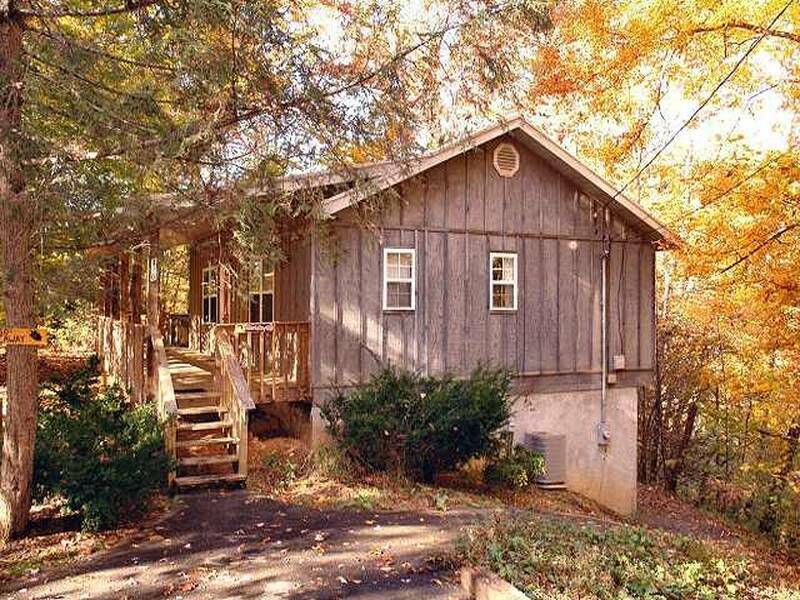 Very secluded chalet tucked away on 2/3 acre of forested privacy. 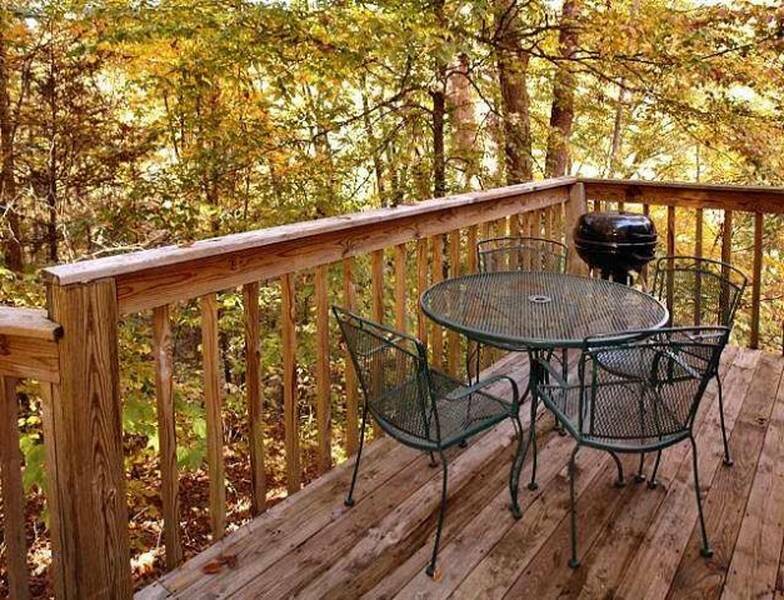 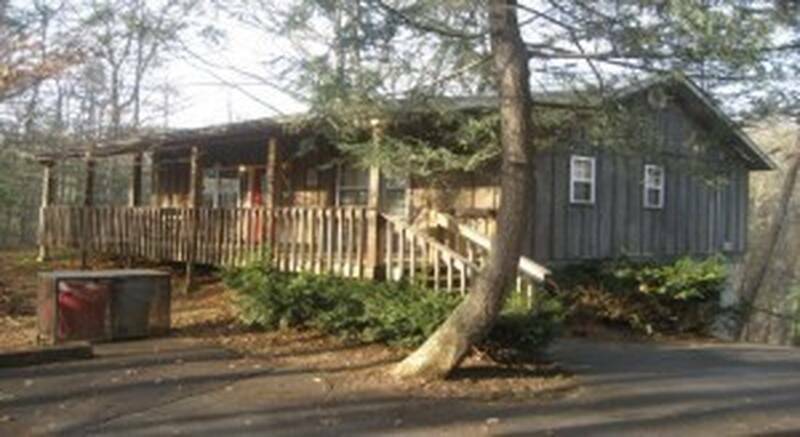 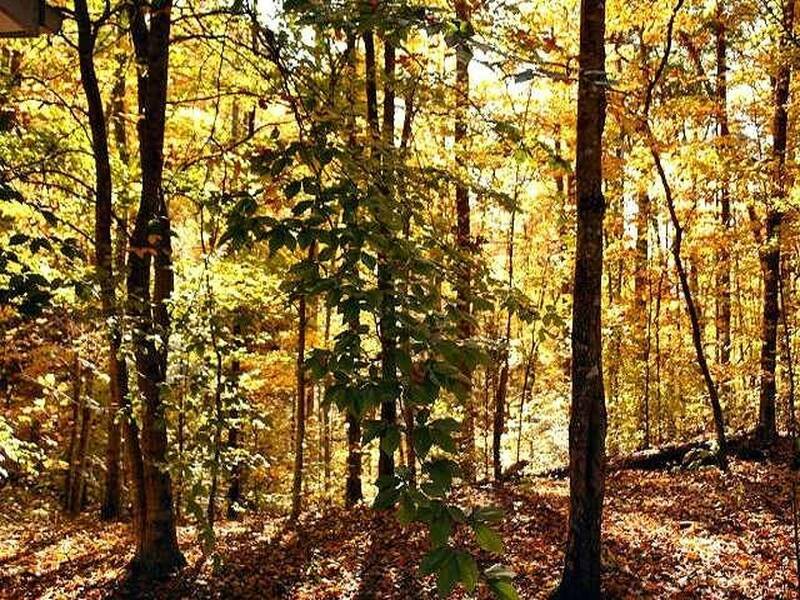 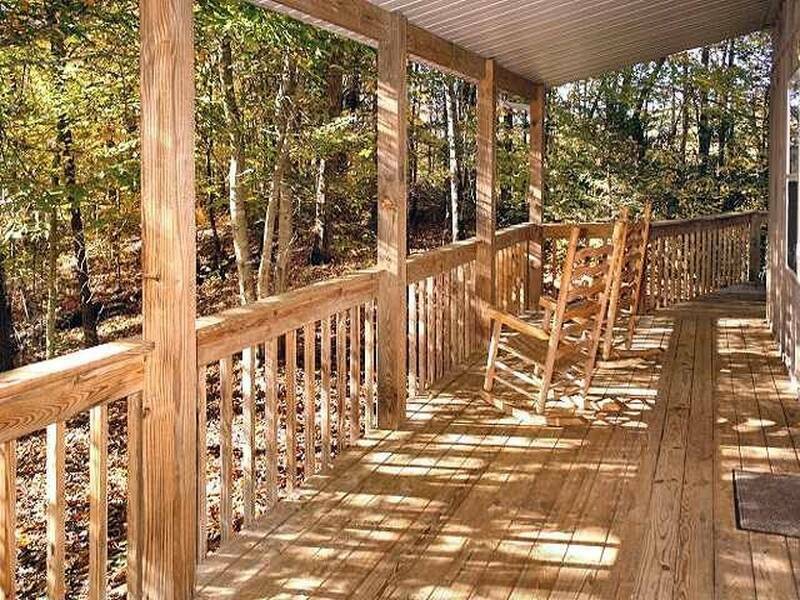 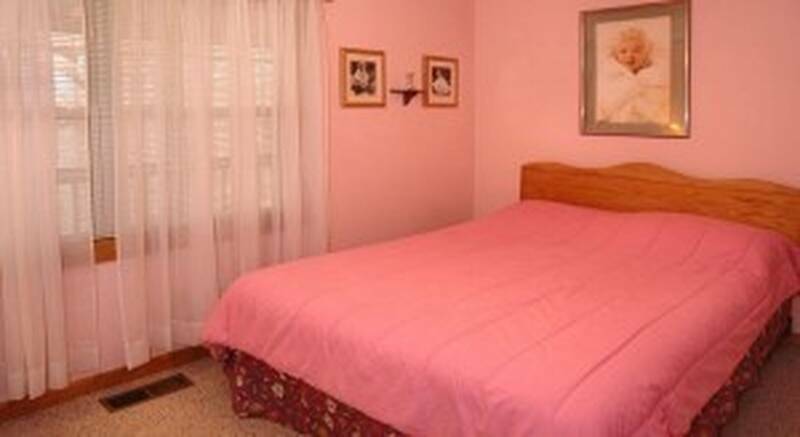 Secluded yet conveniently located just minutes from Gatlinburg and Pigeon Forge (less than 3 miles to either location). 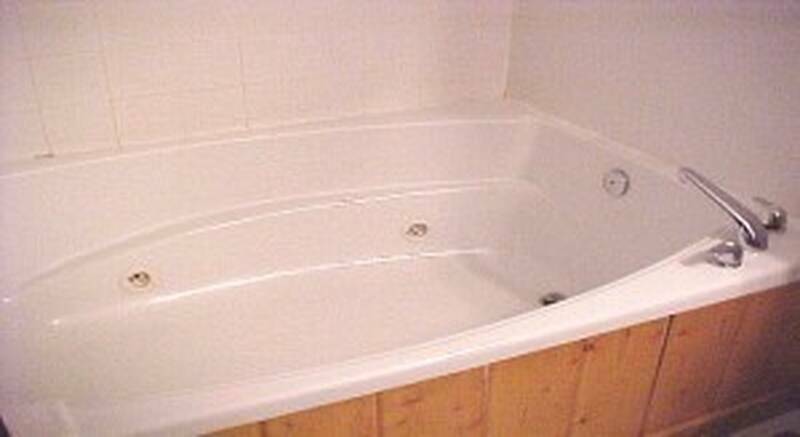 Two master bedrooms - one with an extra large jacuzzi tub. 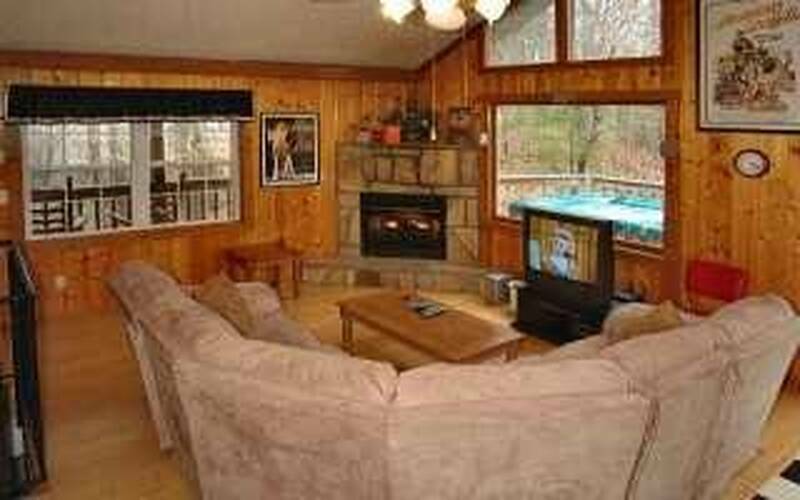 Main level also has a fully equipped kitchen, living room with fireplace and an extra half bath. 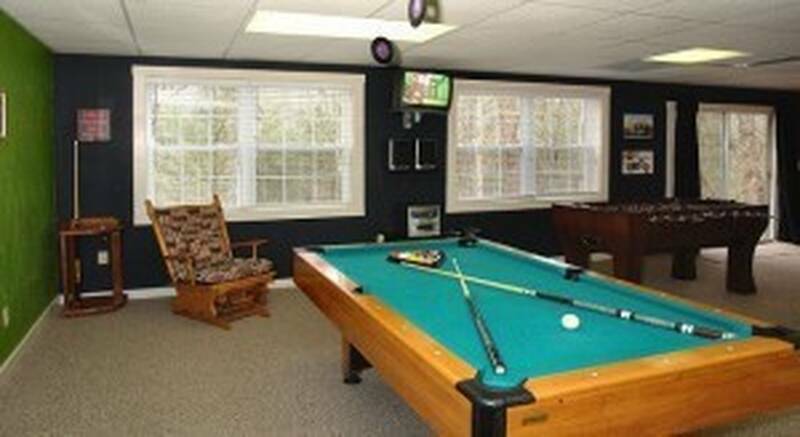 Downstairs has large gameroom, including a pool table, foosball table, darts and CD/tape player. 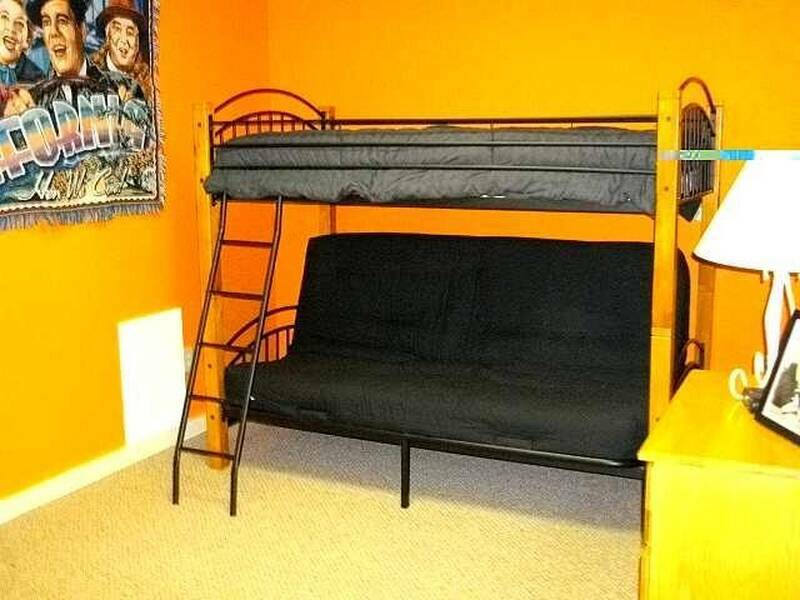 Set of bunk Beds are beside te Gameroon area along with futon. 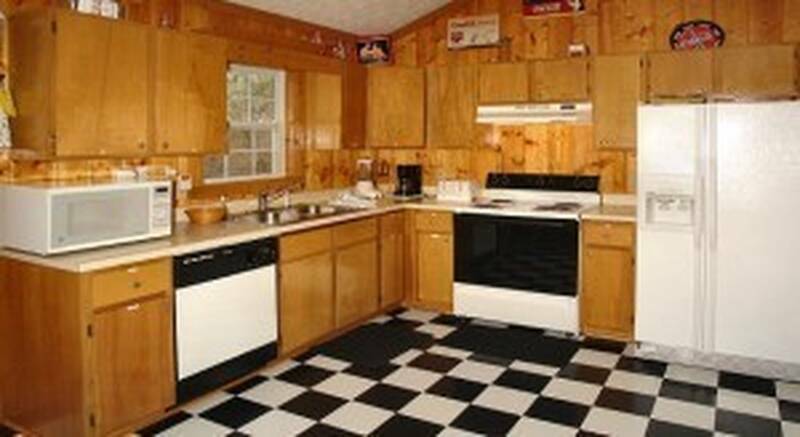 Large laundry room with full size washer/dryer. 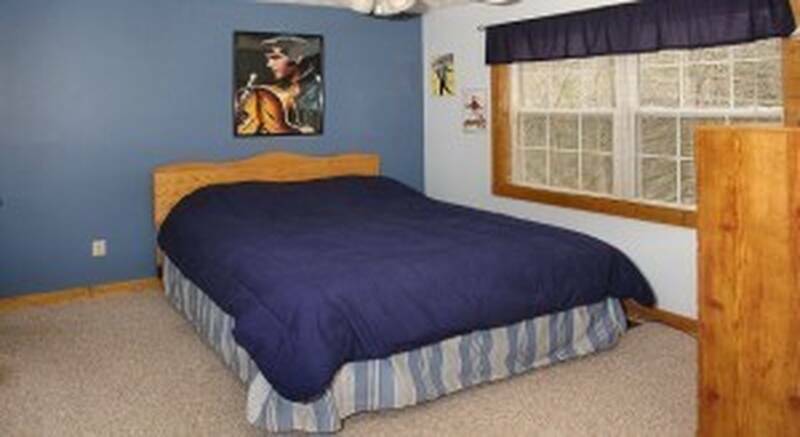 EXTRA'S include FREE hi-speed Internet service (wired or wireless), FREE Long Distance (USA) DVD and VHS with surround sound upstairs. 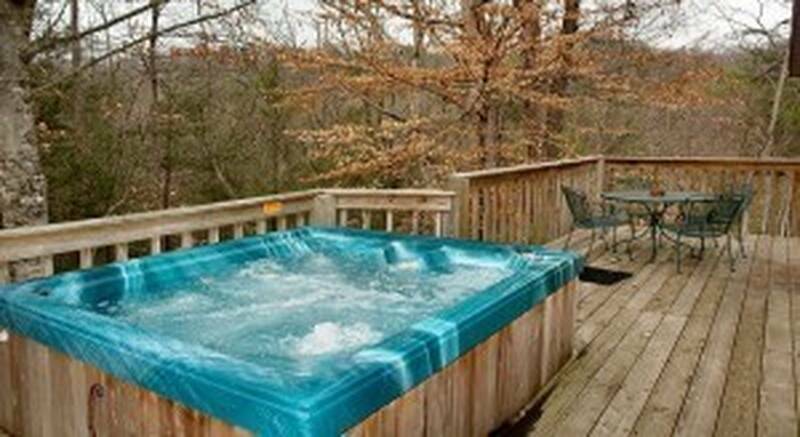 Watch the stars from the private hot tub on a truly and totally secluded deck. 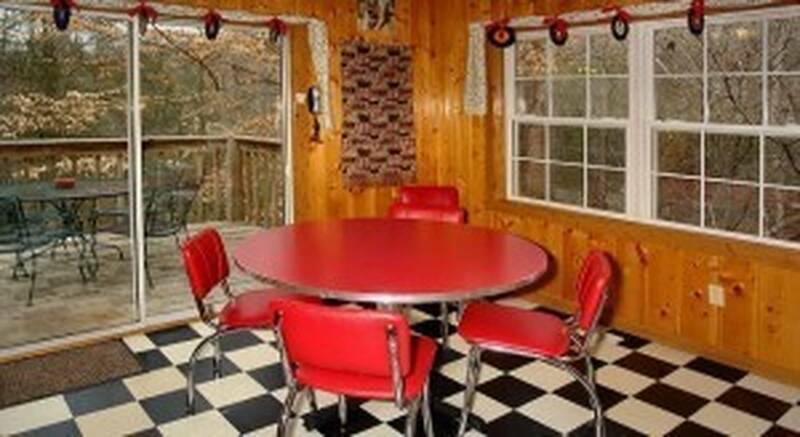 Decorated with a 50's theme throughout with a touch of HARLEY! 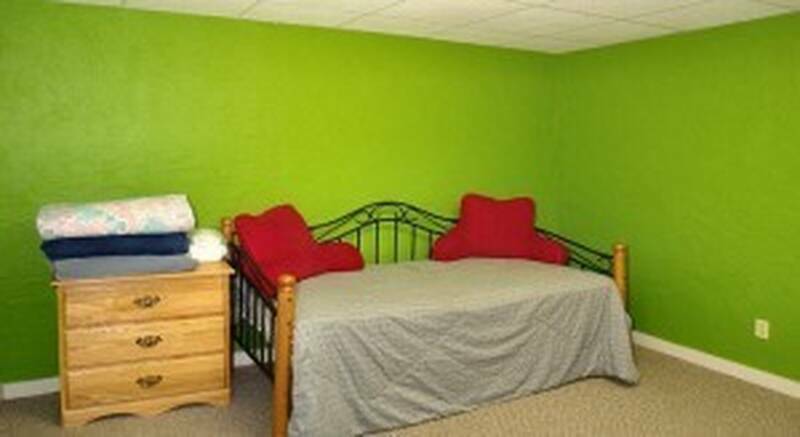 See pricing below.